Committed to redefining the development sector, Sano Paila inspires disenfranchised communities in Nepal and work with them through education, youth volunteerism and grassroots organizing to solve challenges with home grown local solutions that ensures a degree of sustainability built into the projects. 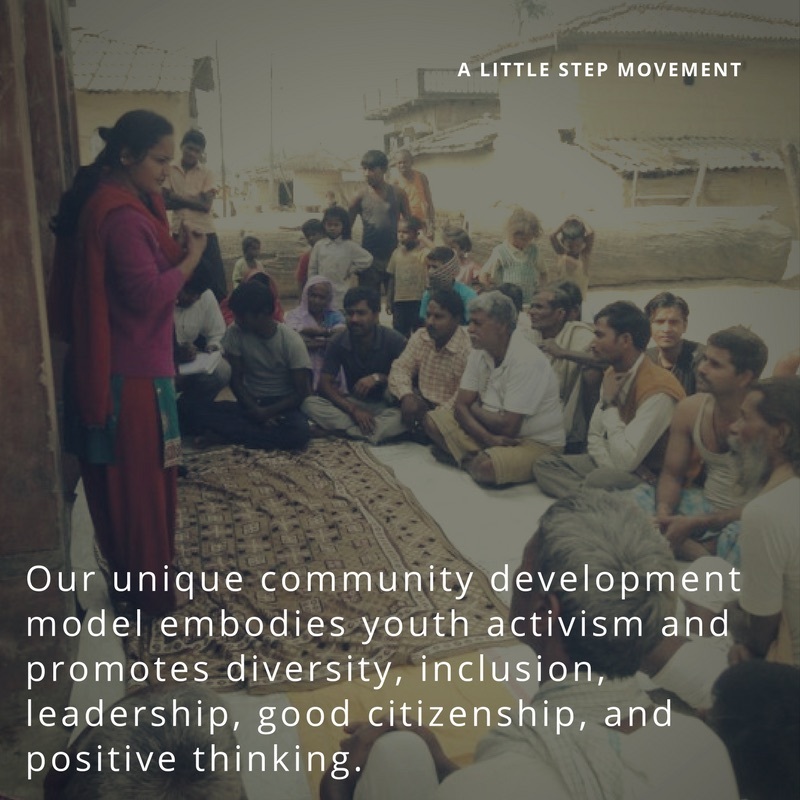 Expanding our grassroots youth network to build positive connections among community residents based on mutual responsibility and ownership. From working with youth, farmers and women in the smallest villages to top government officials, civil society and security leaders in the district headquarters, we generate awareness regarding ownership and sense of belonging in community development among local residents, and influence policy makers, state, and non-state actors through advocacy programs at the local, national and global level. It is very encouraging to know that people and businesses that are at bottom of the economic pyramid are willing to help for the causes we believe in. More than donations, we are very proud that we have been able to instil a belief in people that we ourselves hold the key to social reform and are responsible for the overall development of our communities and our nation. Sano Paila recognises that the protection of human rights, access to education, and development of Nepal’s youth and their leadership capabilities will be key to bringing about social, economic, and political change.